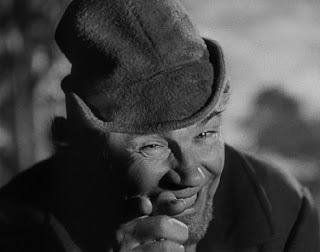 ... make sure he’s played by Walter Huston. It’s sure to be an unforgettable experience. 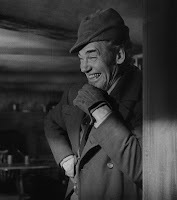 The expression “You can’t take your eyes off him when he’s on the screen” probably didn’t originate with Huston’s performance as the grizzled Mr Scratch in the 1941 film The Devil and Daniel Webster, (also known as All That Money Can Buy) but it should have. He’s so mesmeric, so diabolical and so charming all at once (in a folksy, Midwestern sort of way) that the original Prince of Darkness would have been deeply envious. Jack Nicholson and Mick Jagger would have joined a church choir. Soon Jabez is throwing coins about the place just to show off his wealth, driving poor people from his door, refusing to join his mother and wife at Sunday church and generally behaving boorish. When the Devil sends across a demon-minion in the vivacious form of Belle (played by the French actress Simon Simone who purrs “I’m not anything” when someone asks her “Are you French?”), Jabez hooks up with her, buying her a large, vulgar mansion and neglecting his poor wife. (For a once-decent, Bible-quoting family man like him, this marks a descent into perdition that’s even steeper than Priyanka Chopra sleeping with a black man in Fashion.) Eventually the great orator and people’s politician Daniel Webster (“when he speaks, the Stars and Stripes come right out of the sky”) must step in to help Jabez retrieve his soul and to show that there’s no place for the Devil in an America governed by its new Constitution. Or, at least, in New Hampshire. The Devil and Daniel Webster was made in the same year as Orson Welles’ iconic Citizen Kane, and by the same studio – the relatively small RKO Pictures, which was doing some very good work in those years. Though it doesn’t have the formal mastery of Welles’ film from beginning to end (how many movies do? 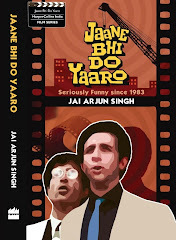 ), it contains several moments of brilliance and is a more accessible film on the whole. There’s so much to recommend here that I don’t know where to start. Atmospheric black-and-white photography, Bernard Herrmann’s wonderfully varied music score, and subtle special effects (don’t miss Mr Scratch’s combustible visiting card in his magnificently shot entrance scene, just after Jabez speaks his self-incriminating words) combine to create a weird, otherworldly mood – as in the spooky barnyard dance where Jabez is smitten by Belle while the Devil plays the violin and urges everyone to go “Faster!” In some of the longer takes, the camerawork is nearly as fluid and assured as in Citizen Kane. Maybe it was my imagination, but I thought the last shot – where Mr Scratch, still very much at large in the world of men, looks straight into the camera, grins and points at us – was like a distorted version of the Uncle Sam “I want you” poster. Mr Scratch: Foreign? Who calls me a foreigner? Mr Scratch: And who has a better right? When the first wrong was done to the first Indian, I was there. When the first slaver put out for the Congo, I stood on the deck. Am I not still spoken of in every church in New England? It's true the North claims me for a Southerner and the South for a Northerner, but I'm neither. To tell the truth, Mr Webster – though I don't like to boast of it – my name is older in the country than yours. The film was remade as "Shortcut to Happiness" (2007) with Alec Baldwin as Jabez Stone, Anthony Hopkins as Daniel Webster and Jennifer Love Hewitt as the Devil. Nothing much to write home about, really, except that Hewitt makes a far more fetching Devil than Walter Huston, even if she can't really act. Yes, but was Hewitt's shaitan as fetching as Liz Hurley in the Bedazzled remake? I'm a big Hopkins fan but somehow the idea of him playing Daniel Webster makes me want to definitely not see the film. He's done too much of that sort of thing already. Thanks! You do a pretty good comment. Wasn't aware of this movie. 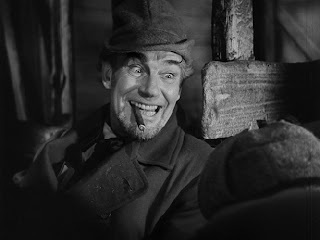 However, I wouldn't be surprised to see Walter Huston pull off anything. Seen him in Dodsworth and Treasure of Sierra Madre. Two very different roles. In fact, I could scarcely believe I was watching the same guy. And of course, it was edited by Robert Wise, who also edited Citizen Kane, and went on to direct many a wonderful movie himself, not the least of which is The Curse of the Cat People for RKO and producer Val Lewton. ...not the least of which is The Curse of the Cat People for RKO and producer Val Lewton. Yes, some of the scenes in this film have the shadowy, otherworldly quality of the Lewton movies. And Simone Simon was in the two Cat People films. I thought the actor playing Jabez was a tad weak.That character had the potential of being fleshed out in a more complex way.Somebody like Jimmy Stewart in that role would have propelled this movie to all time greatness. I was reminded of the Savitri Satyavan story and also the story of Job from the Semitic traditions. I noticed that anti patriotic bit too-that was a really nice angle.Probably this is the only way such things could be included in the story-being mouthed by the villain. Oh yes, Simone Simon is hot! Reached your place web-hopping, and was astonished to see so many good original reviews of so many great books/films. Rahul: two possibilities here. One is what you suggest: I admit to salivating at the thought of a really good Stewart performance as Jabez, to offset the very different performances of Huston, Arnold and Simon - WHAT a varied acting ensemble that would make! But one might also argue that the film would be best with Jabez remaining a nondescript character, a human MacGuffin without a personality of his own (even if he has the biggest role in the film) - allowing the Devil and Webster to make the film their own. 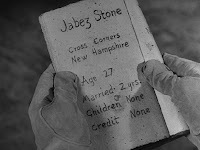 I thought the idea was that Jabez and his wife are supposed to be vapid characters. Difficult to say. Checked out this film last week. Loved it. I thought the actress who played Jabez Stone's wife bore a striking resemblance to Olivia de Havilland, both in looks and manner. And yes, I was surprised to see Edward Arnold playing Webster, having seen him sell his soul to the Devil in a lot of Capra pictures. RKO is probably my favourite studio from the 30s-40s. It was the home for the first two great Orson Welles pics, the Astaire-Rogers movies, Hitchcock's two best films of the forties - Suspicion and Notorious, Kate Hepburn's finest films - Bringing up Baby/Stagedoor, and also some of the greatest noirs of all time - Angel Face, Out of the Past for instance. The MGM films, while outnumbering RKO in quantity, seem so undistinguished and dated.